According to the football transfer rumours in British Media (BBC), Tottenham have signed Davinson Sanchez. The Colombia international has joined Ajax from Atlético Nacional for a fee in the region of 5 million euros in July 2016. Since his arrival from Atlético Nacional, Davinson Sanchez has scored 7 goals and provided two assists in 47 games for Ajax. The 21-year-old is considered to be one of the best centre-backs in Colombia. The Colombia international has been in outstanding form for Ajax last season. Davinson Sanchez has represented Colombia at Under-17, Under-20 and Under-23 level, winning 17 caps, before making his senior international debut in November 2016. As a member of Colombia national football team, Davinson Sanchez has won one cap. The Colombia international is high in demand this summer, with him having enjoyed a sublime season for Ajax last term. Mauricio Pochettino has wanted to sign a new centre-back this summer and Davinson Sanchez was one of the names at the top of his wishlist. Pochettino has always been a manager who keeps his eyes on the most talented young players across the globe. The Colombia international is thought to perfectly fit the profile of defensive player Tottenham manager has wanted to target in the summer transfer window. Mauricio Pochettino will reportedly be handed a huge transfer kitty this summer and the Ajax centre-back is thought to be among the manager’s priorities. Tottenham are in the market for just a handful of statement signings this summer who can improve the first-team. The Colombia international will definitely be a good addition to the Tottenham side, which will be competing in the Champions League next season. 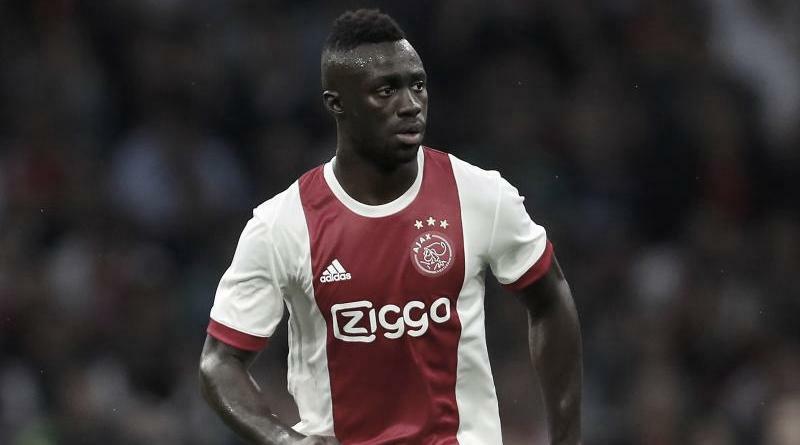 According to the report in British Media, Tottenham have signed Ajax defender Davinson Sanchez in a club record 49 million euros deal, subject to a medical and a work permit. Sanchez has agreed a six-year deal and will be Tottenham’s first summer signing. Having signed Davinson Sanchez for 5 million euros in the summer of 2016, to make a 44 million euros profit on the 21-year-old who, without question, will be fantastic for Ajax is a good deal all round.